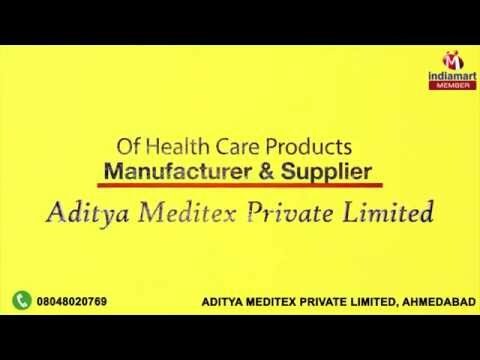 Welcome to Aditya Meditex Private Limited, established in the year 2012, we are manufacturer and supply of Health Care products. Our products also comprise Cannula Fixator, Cotton Crepe Bandage and Elastic Adhesive Bandage. Also, we are popular in the due to our qualitative product range that we offer to our clients at best possible rates that includes products like Cannula Fixator, Cotton Crepe Bandage and Elastic Adhesive Bandage. Apart from this, we sustain best quality standards and provide excellent solutions to our valued clients. Also, in our production staff we have recruited R&D professionals, quality analysts, science graduates and educated sales & marketing staff. They work to achieve the organization goals and carry out entire business process as per the industrial norms. At the time of their recruitment we check their knowledge as well as skill in the particular domain that is done by our human resource team. Additionally, we have given clear instructions to our vendors to deliver prominent range of medical products as desired by us.